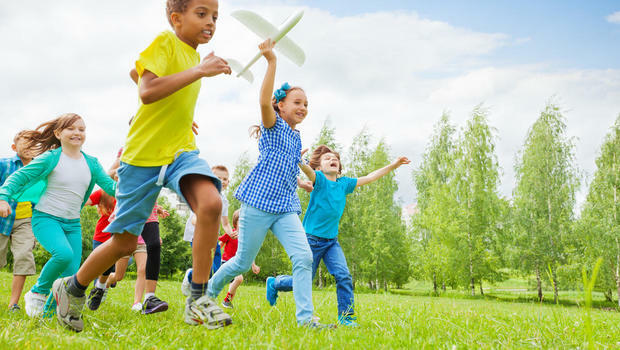 Four Easy Ways to Get Your Kids to Get Off the Couch and Exercise ""
Children need to be active to help them become healthy. The number one cause of obesity among youngsters today is the lack of physical activities. That’s why it is important to make exercise a part of your family’s regular activities. When you are looking for ways to make your children become more active, you should consider their age. Younger children want to do activities instead of traditional exercises. For instance, they are more likely to go on a bike ride or play a game of tag than jogging. On the other hand, teens will want to do exercises as long as their friends also do them. You can also motivate your children through targets, goals, and competition. Below are four ways to get your children exercising. One way to get your children moving is to use the family dog. You should not just let the dog out of the back door. Instead, you should find a trail near your home and take the dog for a family stroll. This is a win-win situation because all members of the family, including the four-legged one, are exercising. Parents should keep in mind that play is also a form of exercise. If your family went walking one day, then you should go biking the next time. Household chores are also another form of exercise. You should not limit yourself to the idea of traditional exercise. As long as your kids are doing something, then it counts as exercise. Be more spontaneous and do physical activities when the opportunity shows itself. There are many ways to stay active even when you are at home. You should ask your children what they want to do for the week. You might be surprised at the ideas they will come up with. If you have more than one child, then you should consider rotating each week. That way one can choose the activity for the week. These ways can make your children get on their feet and exercise. Follow the tips above if you want them to become more active while they are at home.